Order 4×6 prints, photo cards, canvas prints, photo mugs & more! All services are custom printed and inspected in-house. We also offer scanning, restoration, video transfer and more! Click here for Archiving prices and services. Get superior photofinishing for the best pictures possible! Prints are one of the safest and most cost effective ways to back up digital images! All prints are printed and developed in-house. Our photo technicians hand inspect each print, ensuring quality products and optimal customer service. Choose from luster or glossy finish, or bordered prints. 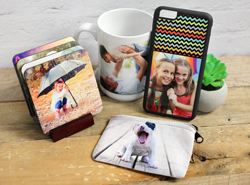 Our square prints are perfect for Instagram® images! See customer service for quantity breaks. 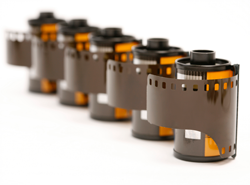 We develop and print 35mm film in house! We also offer black & white print, processing & slide services. See customer service for prices. Includes your media archived to DVD, plus, up to 5 – 8×10 index prints of images. 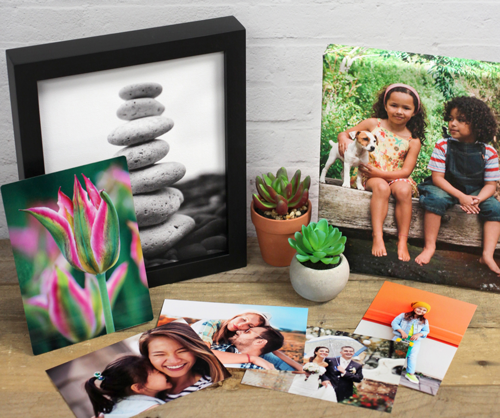 Have your favorite images printed on artist quality canvas! All sizes are available as Wrapped and Flat Canvas Prints. See salesperson for Flat Canvas Print Prices.Custom size canvas options available. Wrapped Canvas • Artist quality canvas prints stretched on a wooden frame. Choose from full image wrap, white borders, multi-image collages and more. Framed Canvas • Artist quality canvas prints mounted and framed. 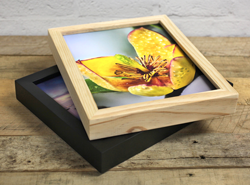 Choose from matte black or natural ash framing, matting available. 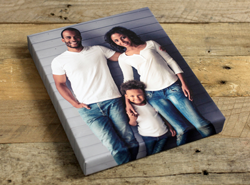 Flat Canvas • Your images printed on artist quality canvas. Does not include wrapping or framing. See salesperson for prices. Available in matte black or natural ash framing. Enlarge your print for impact! Choose from Luster or Glossy finish. Enhanced Matte finish available at an additional charge. We also offer Framed Prints, Custom Collages, Custom Print Sizes, plus, Mounting & Laminating Services. Removable, reusable & reposition-able peel & stick polyester fabric print. Great for kids’ rooms! Available in 11×14 up to 30×40. Prices starting at $15.99. See customer service for prices. 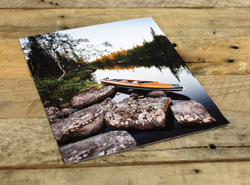 Create visually stunning images with metal prints! Your photo is sublimated on to brushed or white coated metal. Custom size metal options available. Stylized double metal prints features your image on brushed metal, then mounted on a larger design metal background. Multiple templates to choose from. 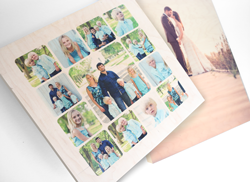 Your print is sublimated onto a Maple Veneer block featuring a matte finish, allowing thewood grain & color to show through your image. 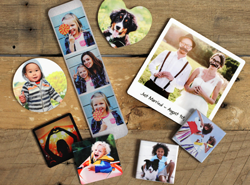 Personalize Photo Gifts with treasured images! 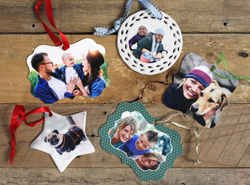 We offer a unique selection of photo gifts, perfect for creating memorable keepsakes that will be cherished for years. All gifts are produced at our Golden Valley central lab. Choose from metal, ceramic and plastic magnets – an easy gift idea for anyone! Choose from a variety of shapes and templates, available in ceramic and metal. Printed on matte or glossy photo paper. Printed on smooth card stock. Pearlized card stock available for additional 10¢ per card.